Set in and around Hyderabad at the beginning of the nineteenth century, White Mughals tells the story of the improbably romantic love affair and marriage between James Achilles Kirkpatrick, a rising star in the East India Company, and Khair-un-Nisa, a Hyderabadi princess. Pursuing Kirkpatrick's passionate affair through the archives across the continents, Dalrymple unveils a fascinating story of intrigue and love that breaches the conventional boundaries of empire. As Kirkpatrick gradually goes native (adopting local clothes and enduring circumcision) he becomes a secret agent working for his wife's royal family against the English, as he tries to balance the interests of both cultures. 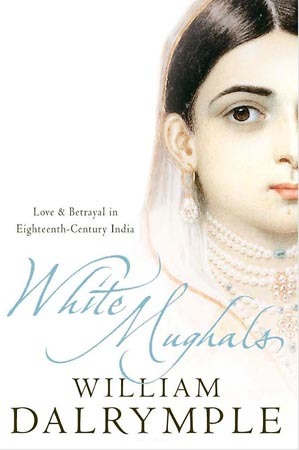 However, White Mughals is by no means just an exotic love story. It is a vehicle for Dalrymple's understanding of the complex legacy of the English Empire in India, that he defines more in terms of exchange and negotiation than dominance and subjugation. It is a powerful and moving plea by Dalrymple to understand the cultural intermingling and hybridity that defines both eastern and western cultures, and a convincing rejection of religious intolerance and ethnic essentialism. Elegantly written and at a pace that belies its length, White Mughals confirms Dalrymple's status as one of the most important non-fiction writers of his time.